America’s 16 million union members represent a cross section of people — women and men of all ages, races and ethnic groups. They work in hospitals and nursing homes, auto assembly plants and on construction sites, trains, buses and airplanes. They are security guards, engineers, office workers, musicians, electricians, postal workers, janitors and more. Union membership is important to all of these people, helping them gain decent wages and working conditions and have a say in their jobs. 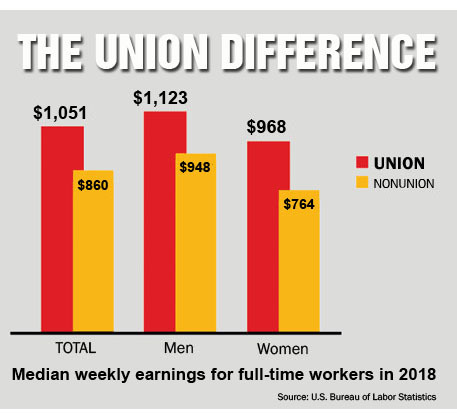 Find out more about what unions do and the difference a union can make in terms of raising wages, improving benefits and getting respect on the job. 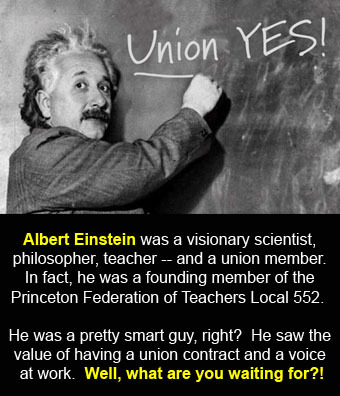 Federal and state laws guarantee the right to form unions! Eligible employees* have the right to express their views on unions, to talk with their co-workers about their interest in forming a union, to wear union buttons, to attend union meetings and in many other ways to exercise their constitutional rights to freedom of speech and freedom of association. Despite these laws, many employers strongly resist their employees’ efforts to gain a voice at work through unionization. So, before you start talking union where you work, get in touch with a union that will help you organize. * Supervisors and a few other kinds of employees customarily are excluded from coverage. 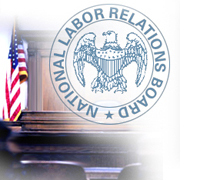 For more information, see specific laws covering your position or contact a union organizer as described below. To form a union on the job, you need the backup and hands-on assistance from the union you are seeking to join. If you don’t already know which union is best suited to help you, find out more about the unions affiliated with the WSLC and/or the AFL-CIO by visiting their websites. Many of these sites will help you contact the right person directly to help you form a union. If you are unable to determine which of these unions is right for you, contact us at the Washington State Labor Council, let us know the type of work you do, the number of employees at your worksite and its location, and we’ll send you names and phone numbers for the appropriate unions in your area. All information provided will be strictly confidential. Union organizers assist employees in forming unions on the job to give them the same opportunity for dignity and respect, good wages and decent working conditions that union members already have. To get in touch with a union organizer, complete the following form. The completed form will be forwarded to a Washington state organizer at the union you choose. It will not be transmitted or disclosed otherwise. And don’t hesitate to contact us if you have any problems or questions.